Now, I completely understand how difficult it must be to capture wildlife on film. However, it can be done; I've seen it a zillion times. No matter how lovely this book is, I found the blurred (or "artsy" pictures as some would say) rather annoying. I adore looking at and fully appreciating wildlife pictures. I couldn't appreciate that many in this book which was a little disappointing (for example on pages 27 and 35). I am from South Africa and have a great sensitivity with the wildlife, which is what attracted me to this book in the first place. I completely agree with writer Peter Godwin when he says, "Wilderness, in all its diversity, thrives best under the benign neglect of humankind". In many instances it's a case of "if only" that Africa finds herself these days. Sad, but true. Wildlife is no exception. In this book we see rivers, mountains, lion, native peoples, cheetah, wild dogs, elephant, and more, and we can read about each as well. 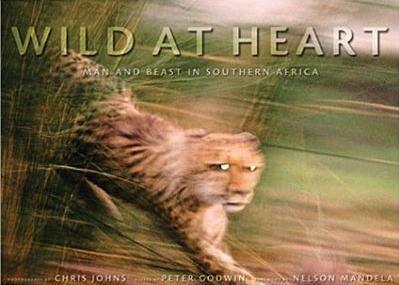 A few of my favorite photographs are: page 19 (Reedbuck); page 53 (Mozambique), and page 85 (cheetahs). This is literally a coffee table book - it's huge and you read it as a landscape layout rather than the traditional portrait book layout. Nelson Mandela wrote the foreword. Conclusion - Essentially a beautiful book, and very interesting.